[General description] Full length portrait of Boyle Travers Finniss with greying moustache and trimmed beard, wearing a dark frock coat and loose light coloured trousers. 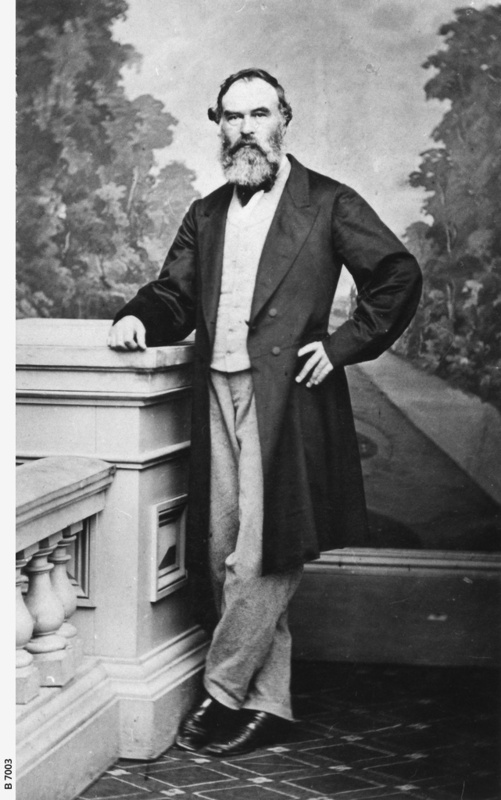 He stands and faces the camera with one elbow resting on a pedestal in front of a classical rural backdrop. He was a soldier, surveyor and public servant.